23–25 May a large group of Chinese Arctic researchers met with counterparts from the Nordic countries. 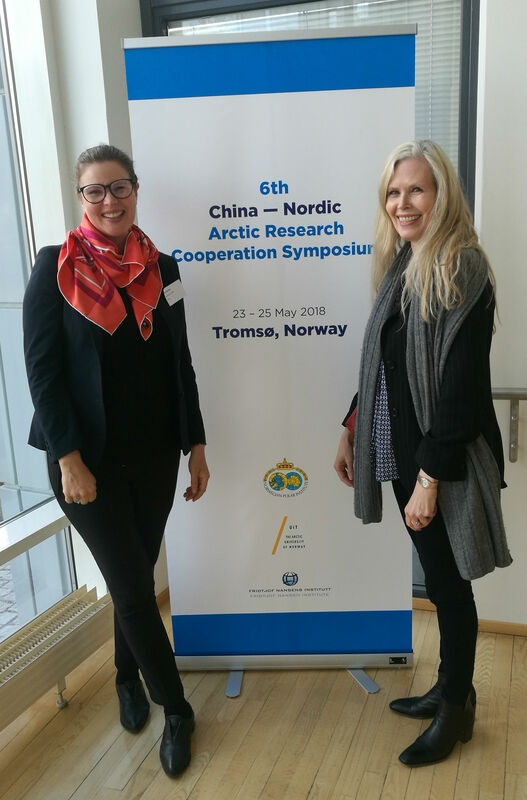 The occasion was the 6th China-Nordic Arctic Cooperation Symposium, which this year for the first time took place in Tromsø, Norway. The symposium was hosted by Fridtjof Nansen Institute, together with the Norwegian Polar Institute and UiT the Arctic University of Norway. Since its establishment in 2013, the China-Nordic Arctic Research Center (CNARC) has provided a platform for academic cooperation between Chinese and Nordic research institutions. Its main goal is to increase awareness and knowledge of the Arctic – a region which has become of rising interest to China over the past decade. Although not an Arctic state, China is affected by the ongoing changes in the High North. A warming climate in the Arctic is assumed to cause colder winters in parts of China, and thus problems linked to infrastructure and crops. At the same time, less ice in the Arctic creates opportunities, including development of new shipping routes. ‘The Arctic has become a Chinese priority area and investments are increasing, also within research. FNI has in recent years established close ties with a number of Chinese Arctic research institutions. Academically speaking, our relationship is pragmatic and mutually beneficial, providing a solid foundation for future cooperation,’ says FNI Director and keynote speaker Geir Hønneland. The symposium’s overarching theme was integrated ocean management in the Arctic, including topics such as fisheries management, marine pollution, climate change and sustainability. Several FNI scholars were in Tromsø to discuss and present their latest research within these fields. Whereas FNI’s Anne-Kristin Jørgensen spoke about Norwegian–Russian fisheries management in the Barents Sea, FNI’s Iselin Stensdal gave a talk on China’s Arctic policy, released in January 2018, and possible implications for High North business development. FNI researcher Arild Moe, together with Huigen Yang at the Polar Research Institute of China, moderated the roundtable discussion ‘Arctic fisheries – from the ocean to the market’, attended by Hønneland and FNI researchers Gørild Heggelund and Jørgensen. Cooperation with Chinese researchers on Arctic issues, as well as on Chinese environmental, energy and climate politics, has been a long-standing priority at the FNI. Several FNI researchers were part of the Norwegian Minister of Research and Higher Education’s delegation to China in April this year. 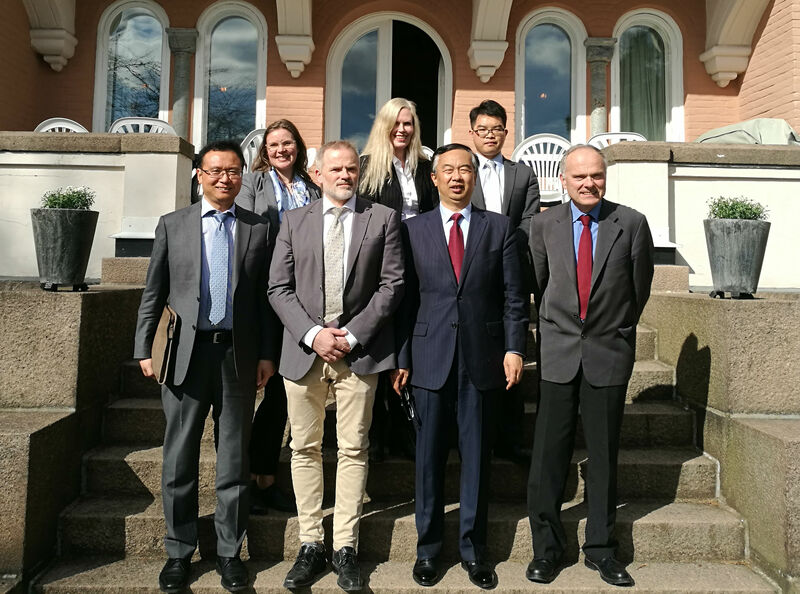 Recently, China’s ambassador to Norway, Wang Min, visited FNI to gain insight into the institute’s core fields of research, and discuss opportunities for future cooperation.